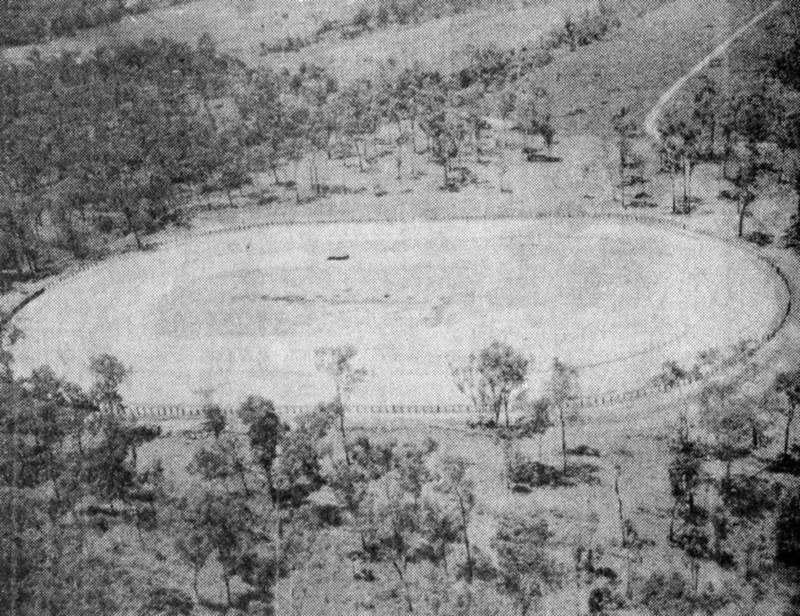 Savannah Speedway was built by Rex Goodsell on the family owned property on Racecourse Road. A number of people tried to promote Savnnah Speedway over its time, Rex would hire out the venue to would be promotors. One in particular who came from the Gold Coast was the late Noel Ross. In 2013 the family still owns the property and nephew Russell Goodsell operates the family bussiness Goodsell Engineering from the same premises. 1970's - Steve Koppe leads a race at Savanna. Photo: unknown. 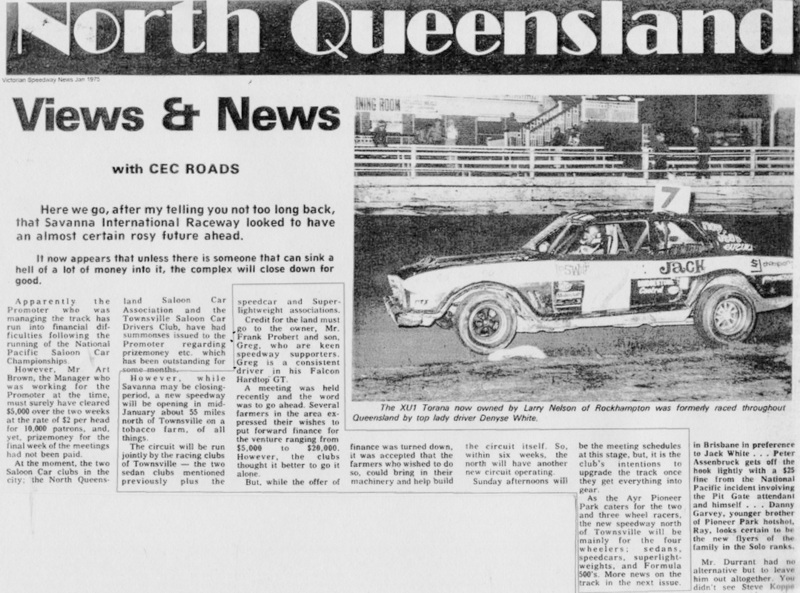 1973 - Rick Turner in the #69 EH Holden leads Peter Roggenkamp in the #4 Monaro. Photo: Ric Turner collection. Little of the racing venue remains today other than the original upright post for the front gate to swing off, the company office block stands where the speedway ticket office once was, the landmark Rain Tree still stands strong, The original spectator car park is now parking area for trucks and heavy equipment.